Are you worried about protecting your expensive mattress, but don’t know which route to take? 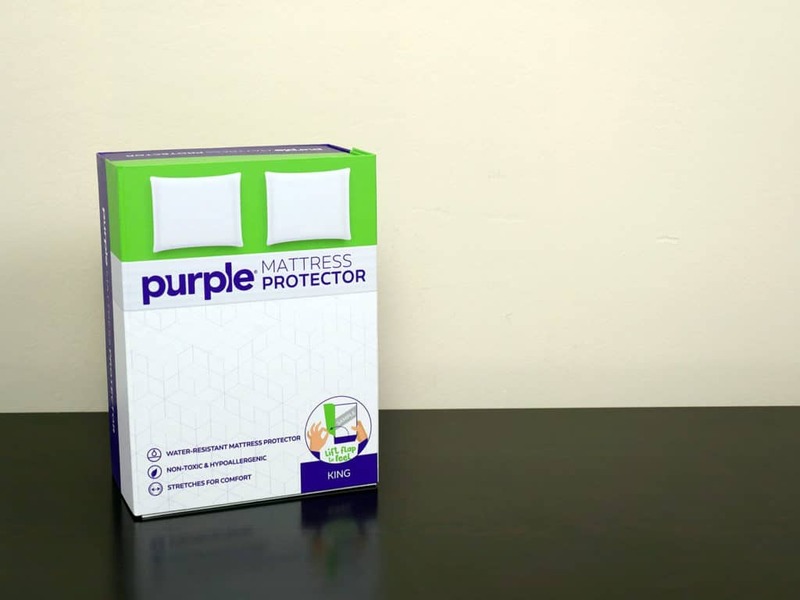 Purple has just released their mattress protector and is ready to be the last line of defense against the toughest of stains, spills, unexpected accidents, and any other harmful elements looking to attack your mattress. Is the Purple mattress protector strong enough to provide your mattress with the protection it needs? Continue reading below to find out! Don’t have time to read the full review? Click here and we’ll take you down to the review summary. The Purple mattress protector is built from a combination of polyester (85%) and spandex (15%). The blending of these two materials makes for an ultra stretchy and breathable protector that allows you to be in closer contact with the mattress itself. The Purple protector is by far the thinnest mattress protector I have tested to date. Additionally, the protector has the ability to fit mattresses with depths of up to 13″. Backed by 100% polyurethane, the Purple mattress protector is also able to keep dust mites, allergens, and liquid spills from penetrating the protector. On the other hand, the polyester and spandex are designed to absorb water as well, therefore the combination of these three materials helps to avoid any major messes on your mattress. With regards to sizing options, the Purple protector is available in Twin, Twin XL, Full, Full XL, Queen, King, and California King. Structurally, an elastic band runs along the interior perimeter of the protector, creating a snug fit around the mattress. The response of the protector is virtually instantaneous due to the materials used and elastic band’s ability to grab the mattress and hold its place. All things aside, any good mattress protector will accomplish two things; protecting the mattress and doing so without you knowing it’s there. Protect the mattress – protection from liquids, allergens, dust mites, and any other unexpected damages that could occur to the mattress. Protect without any knowledge that it’s there – in addition to combining the attributes from #1, a quality mattress protector should also be able to go virtually unnoticed. The job of the protector is to protect the mattress without changing the original feel of the mattress, avoid any heat build up, and maintain a relatively quiet sleeping environment. Liquid protection is easily one of the most important factors taken into account when testing a mattress protector. This is exactly why we have decided to put the Purple protector to the test. Protecting your mattress can be crucial. One small incident could potentially ruin your mattress and possibly void your warranty. This week, I put the Purple mattress through a quick test to measure it’s ability to defend itself against liquid spills. 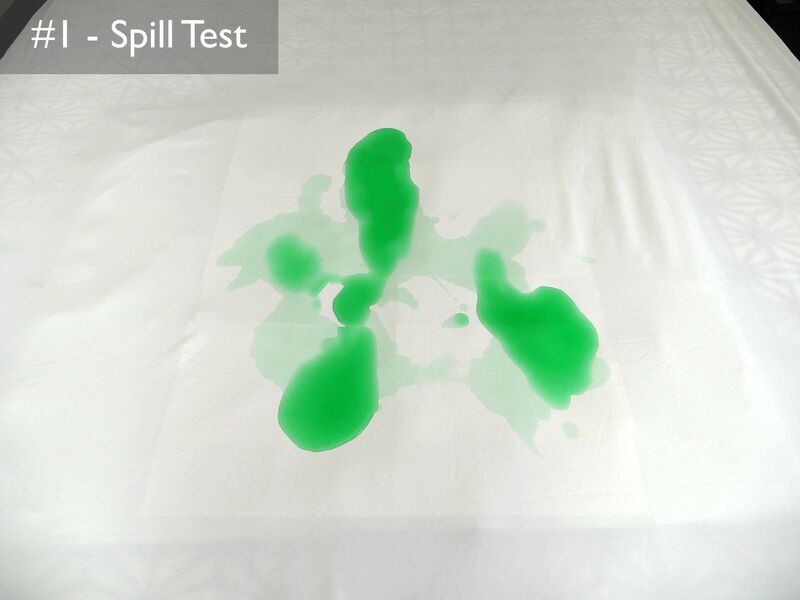 The first spill test resembles an obvious spill. Maybe one that you saw happen or actually did yourself. 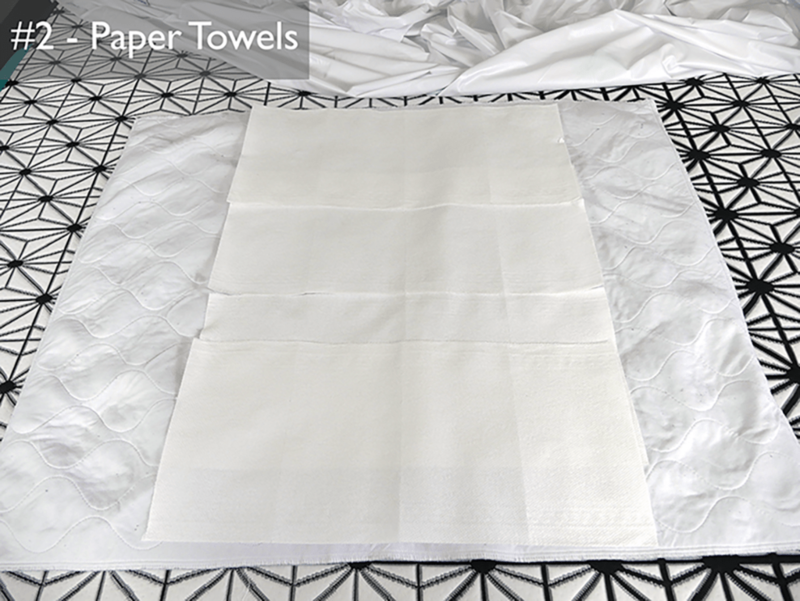 Either way, you immediately ran for paper towels and quickly tried to clean up the mess before it had a chance to significantly penetrate the protector and damage the mattress. The liquid has a time limit of about 2 minutes before you will have a majority of the spill cleaned up. You may have acted quickly…but is the Purple protector going to hold up? Spill test – for this test I dyed 16 ounces of water and poured it onto the protector, letting it sit for a total of 2 minutes. The water was dyed in order to show any penetration from the protector to the paper towels. Paper towels – a layer of paper towels was placed directly underneath the liquid to show clear representation of whether or not any liquid leaked through the protector. After wash cycle – after running the protector through a normal wash / dry cycle, there were no signs of color retention. 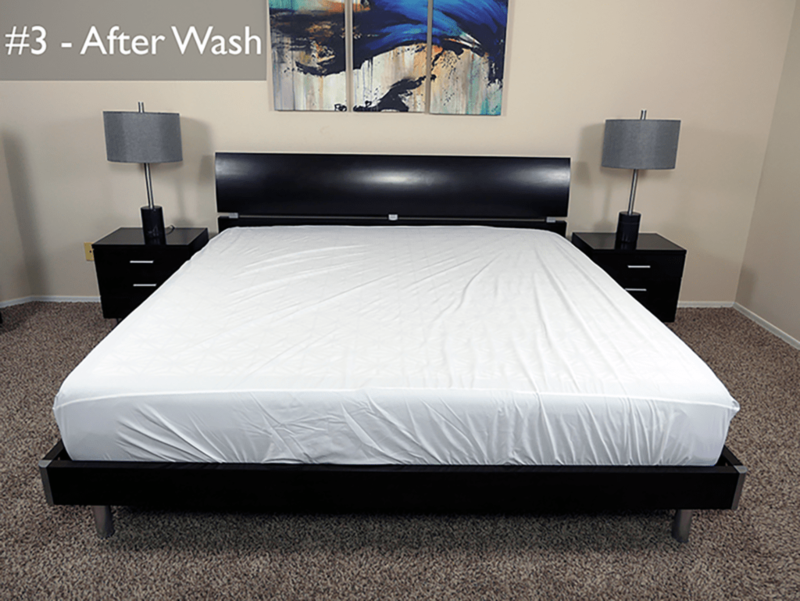 The protector was able to absorb the liquid, protect the mattress, and return to it’s all white un-stained finish after washing. While it is a tad bit difficult to really gauge the presence of allergens, dust, and dirt during these short tests, I would say that the Purple mattress protector is capable of protecting against each of the above. 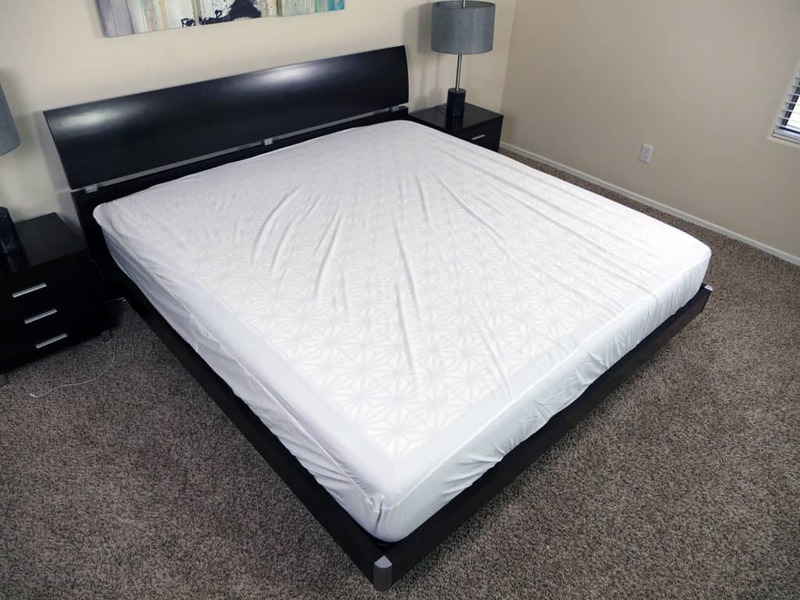 The protector is designed to wrap tightly around the top and sides of your mattress, helping to prevent most particles from getting to your mattress. FAQ: Do I need a mattress protector? Personally, I was most impressed by the protector’s ability to wrap so tightly around the mattress. The elastic band is tightly stitched to the protector and does an excellent job of projecting 5 sides of the mattress. This gives me confidence that the protector will do just fine when it comes to defending allergens, dust, and dirt. As noted above, the role of the protector is to do just that…protect! That said, no one wants a protector that is going to make a lot of noise or create a warmer sleeping environment. 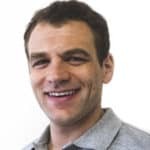 The ideal mattress protector should be able to prevent any damage to your mattress from spills, allergens, and dirt all while remaining relatively unnoticed. Additionally, the protector should not change the feel of the mattress. Typically, a thinner design, such as this one, helps avoid any change in feel. Thin by design, the Purple mattress protector does a fine job of breathing.This is a major benefit, as it allows the mattress to perform normally while still being protected from any unwanted stains. The mixture of these qualities (comfort, cooling, & protection) makes for a quality protector as a whole. With respect to noise, I would say it’s about average. It’s not overly quiet, but it’s not excessively loud either. However, if you are a super light sleeper or otherwise cannot stand excess noise you may be disappointed. However, for most sleepers I think the noise is relatively minor and will not be a significant annoyance. Should you buy the Purple mattress protector? Want a quality mattress protector – the Purple mattress protector passed my spill test with ease. There was no liquid penetration through the protector, it did not change the feel of my mattress, it maintained a cool sleeping environment, and it contains a very strong build quality. Want an ultra elastic protector – the high percentage of spandex in the cover results in an ultra elastic feel. For a mattress such as the Purple, or virtually any other mattress that has a higher degree of hug and contour, this type of elasticity can help to ensure your mattress’ performance is not inhibited. Want a cooler protector – the ultra thin design helps this protector breathe extremely well. At no point in my sleep test did I ever feel warm. Want an excellent deal – at $59 for a Queen, the Purple mattress protector is one of the best valued protectors I have tested to date. For the quality and performance you’re receiving, the price is hard to beat. Looking for more information on the Purple mattress protector? Check it out over at OnPurple.com. The Purple mattress protector is a thin, stretchy, and well built product capable of protecting any mattress up to 13″ thick. With a thinner design, the protector is able to avoid changing the feel of your mattress all while providing a high level of defense. If you’re a sleeper who’s looking to protect your mattress investment, the Purple mattress protector is certainly worth consideration.